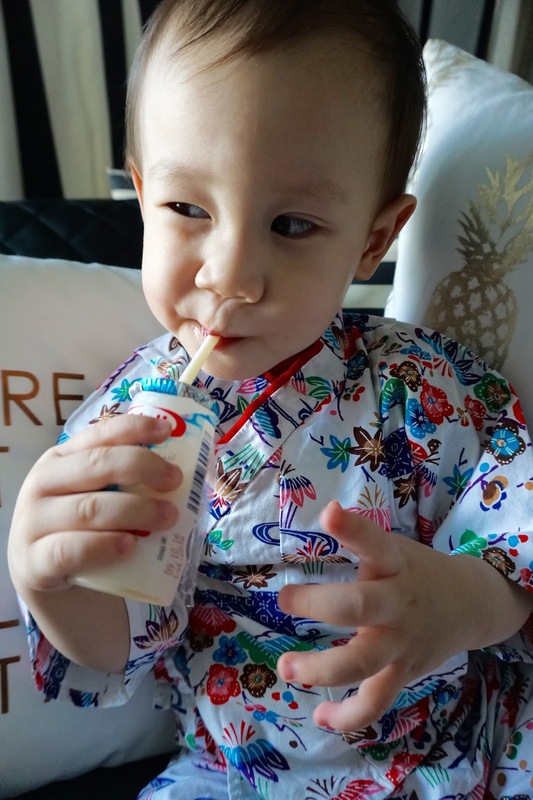 Michiekins | Fashion, lifestyle, and mummy blog: Can I have some more Yakult, please? 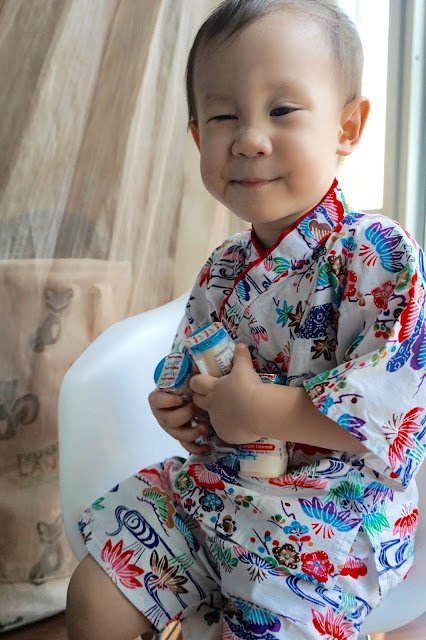 Can I have some more Yakult, please? 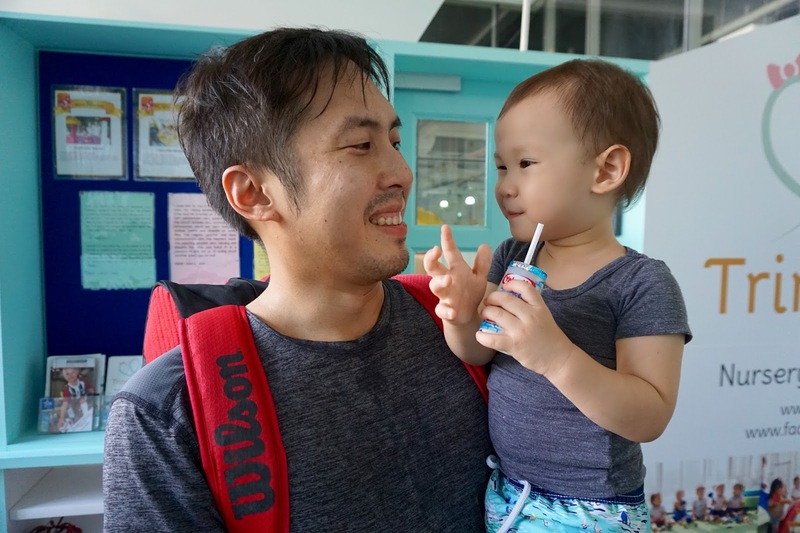 I always look forward to pick up Mika everytime after this playschool, it's because we have this bond where I promised him a bottle of Yakult before class and later when I picked him up from school, I will surprise him with a bottle of Yakult and he will be so happy and we would walk back together, enjoying our drink. Sometimes, he would even remind me to buy before entering his class and if I forgot, we will have to walk down to Jaya Grocer to get it. Do you know that Yakult was created in 1935 by Dr Minoru Shirota in the hope to cure people from infectious diseases that causes death. He wasn't a business man and his values has been carried by the company until today with over 80 years of history and working towards building a healthy society here in Malaysia and around the world. 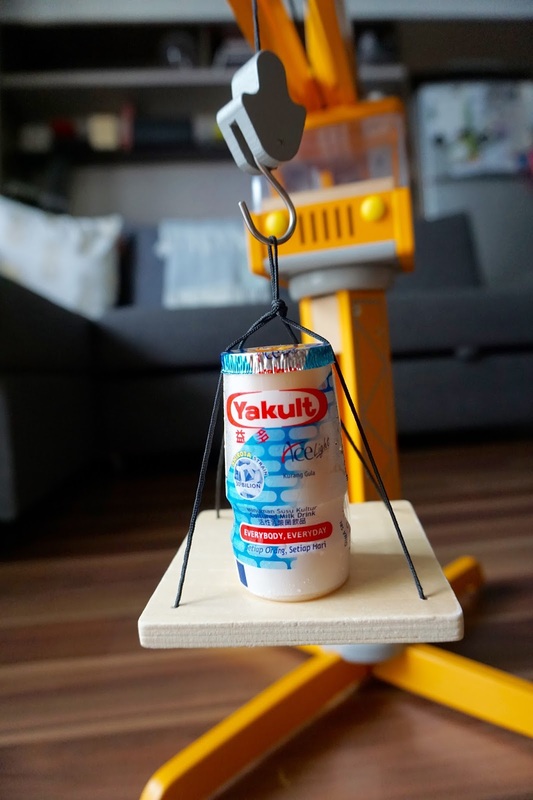 Some of you might ask, what are the benefits of Yakult? 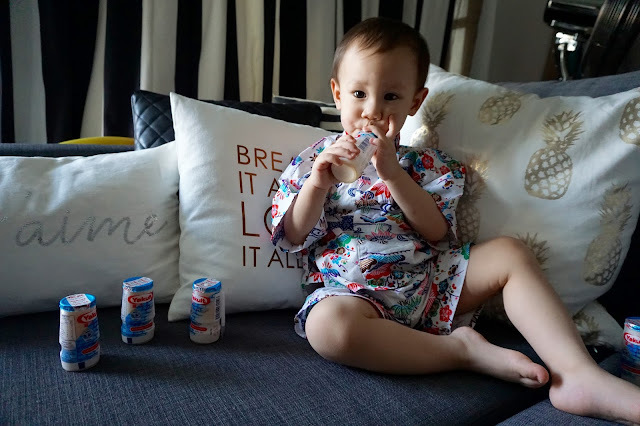 You also might ask, is Yakult only for kids? The answer is NO. Even adults can drink it and it's really good for digestion. It's actually Marcus' favourite drink! I started buying Yakult because of him. Also, as a health drink, Yakult doesn't have added colouring which is a plus point! It may look small but it is a mighty drink! It contains more than 30 billion live Shirota strain. 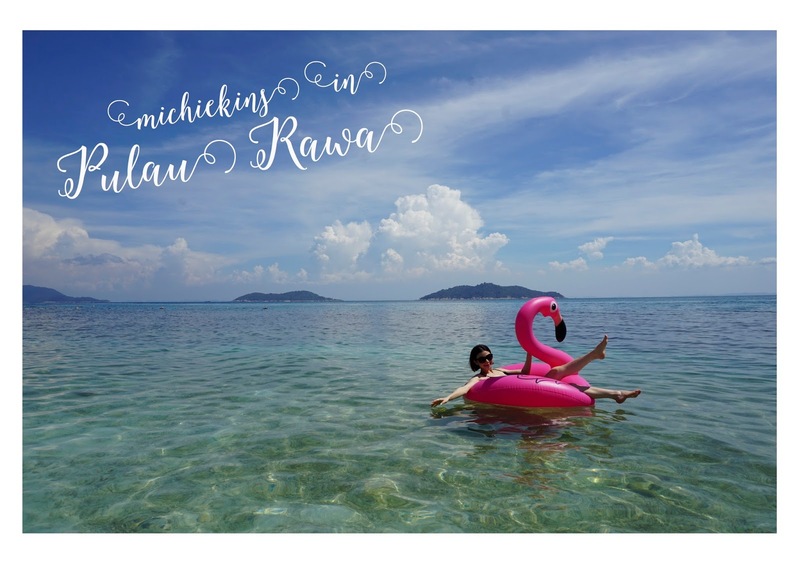 What's even more amazing is they are having a contest where the Grand Prize is a trip to Japan with your family ( 3 families in total) with Yakult Ambassadors, Schawalara and Nona crew from TV3 where they will film your experience which will be aired. First prize would be Ipad Mini 4 and second prize are shopping vouchers. 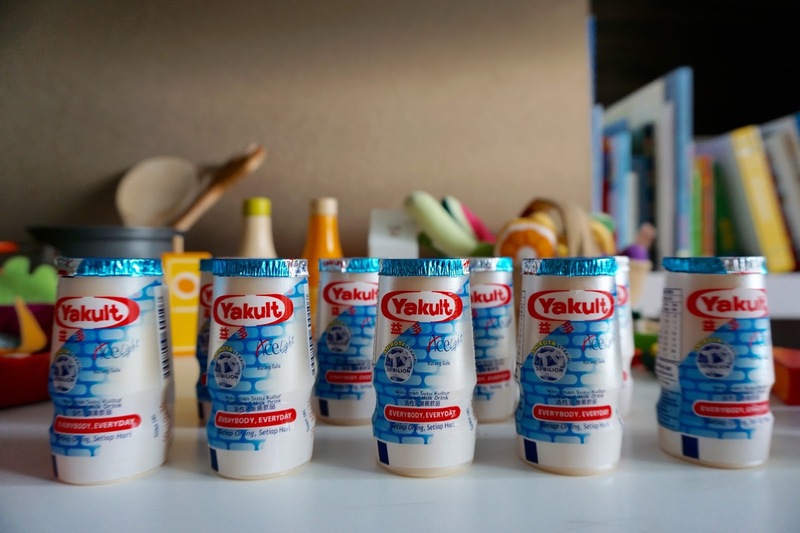 Assortment of Yakult merchandise will be given for every purchase of 100 bottles. The Jom ke Jepun contest is starting from 28th August 2016 till 15th October 2016. All you have to do is to purchase minimum 20 bottles of Yakult, download the form from the website and mail the completed form together with Yakult packaging to the organizers. So hurry up! What are you waiting for! Time to get healthy and fly to JAPAN! Mika wishes you Good Luck!